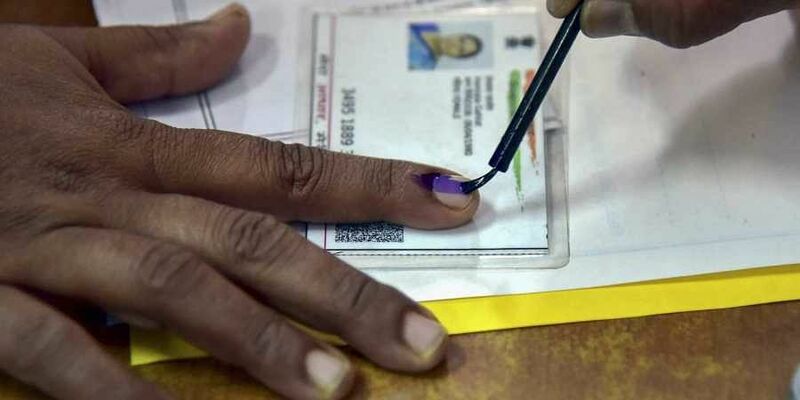 Highly moderated and sensitively crafted opinion polls and exit polls have given their verdict with formidable riders that alter the final outcome. Democracy is the science of insulation and adulation. It is also the art of prediction and valediction. It gives opportunities for deception in perception. The real winners are eclipsed while the gods of politics are extolled. Fall guys are chosen to insulate failed icons from ignominy. It’s the player who wins the battle, but the medal goes on the chest of a non-playing captain or a kingpin sitting on the sidelines. Come December 11, voters of the great Indian Republic will witness sycophancy and chicanery in all its dubious glory. Prime-time slanging matches between ill-informed party spokespersons and their intellectual sidekicks already show security nets being raised in anticipation around their supreme leaders, who are considered infallible deities. The fight for Madhya Pradesh, Rajasthan, Chhattisgarh, Telangana and Mizoram was between the BJP and the Congress. Their leaders are adored by their respective addicts as harbingers of victory, not defeat. Telangana’s incumbent chief minister is reputed to be a leader who hasn’t tasted a major defeat. Highly moderated and sensitively crafted opinion polls and exit polls have given their verdict with formidable riders that alter the final outcome. • If the BJP gets a renewed mandate for the fourth consecutive term in Madhya Pradesh and Chhattisgarh plus a second term in Rajasthan, the image of Prime Minister Narendra Modi as the God Who Never Fails will be further strengthened for 2019. Party boss Amit Shah would be hailed as the champion who habitually snatches victory from the jaws of defeat. 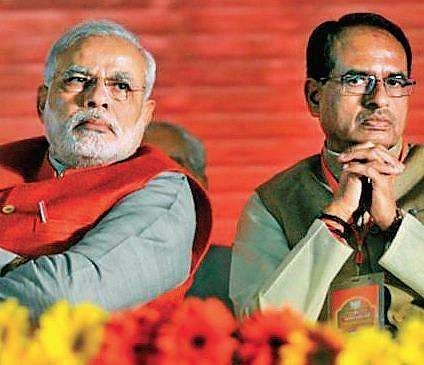 BJP leaders would go to town hailing their perfect chemistry for defeating incumbency. Because the majority of sitting MLAs would have won, the saffron High Command will get the glory for selecting the same bunch. Party leaders would hold a loud burial to the Opposition’s claim that Modi’s personal image has been dented. Instead of giving credit to the local leadership and chief ministers, spin masters and propagandists would exploit all platforms available to credit the prime minister’s personal credibility and convincing campaign style with swinging the voters again in favour of the BJP. After 2014, the BJP couldn’t get a fourth term in any state except Gujarat. The win was Modi’s and Modi’s alone. This time, the performance records of Vasundhara Raje, Raman Singh and Shivraj Chouhan would be acknowledged as contributory factors for the record-breaking victories, but Modi will get all the kudos as the ace pilot who pulled them out of turbulent weather. Though all three will retain their chairs, Modi and Shah will emerge even more powerful to decide their future and reorganize the BJP for the final war next year. A clean sweep will elevate Shah to Badshah and Modi to Majestic Magician. The wins will be projected as an endorsement of NaMo’s’ method and mission. However, the three CMs—particularly Raje and Chouhan—would become more assertive and may not sign on the dotted line laid down by New Delhi. • Alternatively, if the BJP loses in all the three states, there will be mayhem in the party. Modi and Shah would be shielded from the fallout, while the axe predictably falls on the local satraps. The spoxes would blame 15 years of incumbency and the failure of the chief ministers to take remedial measures. Moreover, Delhiwallas will lament that the CMs were given unfettered freedom to select candidates, frame election strategies and choose their own election machinery. For the first time in four years, the size of their photos on publicity material such as hoardings and posters was much bigger than that of Modi and Shah. The whipping would also signal the downfall of the second-rung leadership that could pose a threat to Central leaders. In the past four years, all CMs were willingly accepting instructions, guidelines and even directives from Delhi. A debacle would spell political sunset for their careers. • The Assembly poll results are a question of survival for not just the Congress but also for Brand Gandhi. It is for the first time after becoming the party president that Rahul Gandhi is leading his party’s push in so many elections. A victory in BJP-ruled states would catapult him to the perch of an alternative leader in the making. Though anti-incumbency would be the real reason why the Congress won and not a positive wave for the party, the triumph would be sold as a sign of the growing political market for Brand RaGa, which has faced much ridicule over a decade. If the Congress scores a triple victory, he would be repeating his mother Sonia’s performance in 2004, when she led it to form the government at the Centre after trouncing the NDA led by the formidable Atal Bihari Vajpayee. RaGa has yet another advantage. In all the five states which voted, the Congress lacks powerful local leaders who enjoy state-wide popularity and acceptability. While Ashok Gehlot has the maximum personal following in his state, Sachin Pilot, Jyotiraditya Scindia and Kamal Nath are struggling to establish themselves. Pilot and Kamal Nath enjoy a positive reputation because they have been mostly away from their states. Congress leaders give RaGa credit for minimizing inter-group rivalries and deploying cadres of young and bright party workers from other states to raise votes for the party. December 11 will decide whether he successfully completes his tortuous journey from a minimum leader to a maximum one. Then only would he be in a position to engage with non-BJP parties as a Gandhi with a market and not just a name tag. • If the Congress flops in the three BJP-ruled states where it expects to win, the blame would fall on infighting in the party and a fund crunch. It will also accuse The Election Commission of fixing the EVMs in the BJP’s favour so that RaGa doesn’t earn the epithet of a leader who leads but rarely wins. Not just victory is at stake here, but the future of individuals is in the reckoning as pedestals will either be shaken or cemented more. The poll results will also redefine the cartography of India’s rajneeti. Traditionally, state elections are not national influencers, but the winds which would flow from central and north India would definitely affect the political ecosystem of Indian democracy.